PRINCE William, needed only an A, B and C in his A-levels to get into Cambridge University Normally the University requires an A* and two As. But the Prince is not normal. All the pretence that he is – the middle-class accent, calling people “guys” and not “serfs” and showing us pictures of his baby (so very Facebook) are just sops to the saps. The boy’s a toff. If he wants to meet ordinary, he should have used his actual grades to get the actual course they deserved at Coventry University – “Modern University of the Year 2014” – rather than the place where his brighter school peers end up for a bit. One thing we can thank Wills story for: introducing us to Tim Squirrell, a natural sciences student (more nominative determinism), who wrote in the Cambridge University newspaper that many would only “assume that he’s been let in simply because he’s posh and rich”. Come, come. 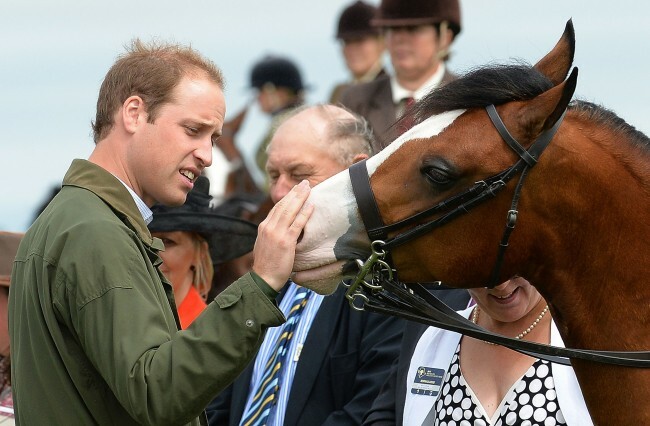 He’s the Duke of Cambridge. He couldn’t very well go to Oxford, could he? Wills is, of course, studying agricultural management. Q. Can we chase a rodent over your land, sir?